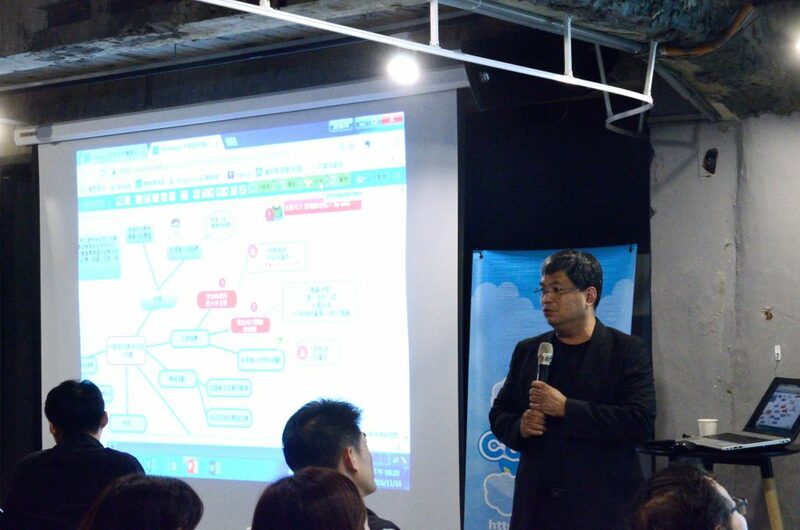 On November 16, we held another one of our popular CacooUp events, this time in Taipei, Taiwan. 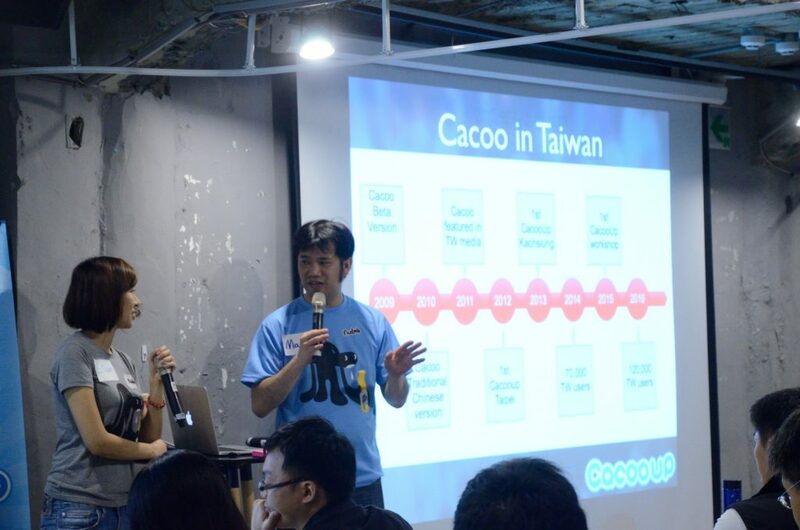 We recently reached 120,000 users in Taiwan, and our data shows that almost 30% of those Taiwan users use Cacoo to create ‘mind maps.’ So we thought mind maps would be a great area of focus for this event. 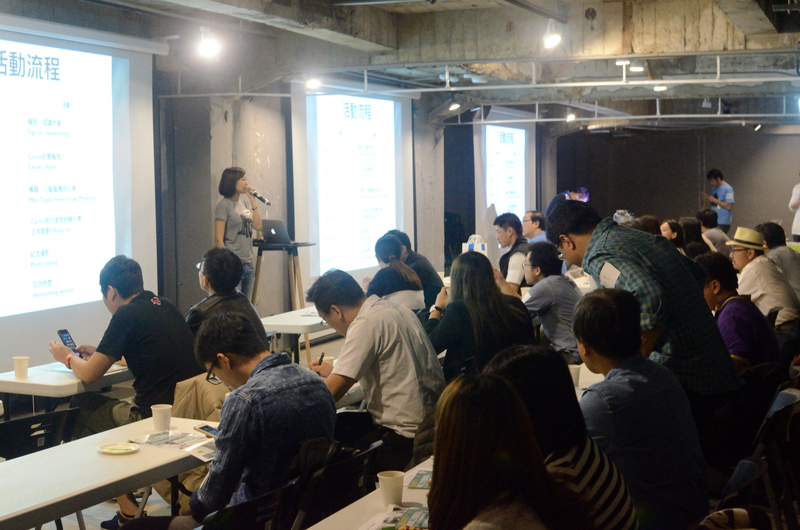 We saw over 40 attendees from a wide range of industries and interests turn out for CacooUp Taipei. Though they came from a variety of backgrounds, everyone demonstrated an eagerness to learn and a desire to network with others. The event started with a quick recap of what the Cacoo team has achieved in 2016 from Nulab’s very own CEO Masa. This year, we focused on a lot of UI improvements for Cacoo as well as important integration with other popular services, including Adobe Creative Cloud, Dropbox, Google Docs, Box.com, and more. Next, we invited ProjectClub‘s co-founder Gibson Yu to share some of his tips and tricks for working with mind maps. Gibson started by explaining how mind maps could be useful in both the note-taking and brainstorming phases of a project. As a project management expert, data organization is incredibly important to Gibson, and Cacoo has helped him simplify his processes. He also demonstrated how he uses colored labels to help categorize and differentiate items as well as how he uses mind maps to highlight tasks and to-do lists. Some of the most valuable lessons taken from Gibson’s talk came from his real-world case studies, which helped attendees understand how influential mind maps can be in their own work. 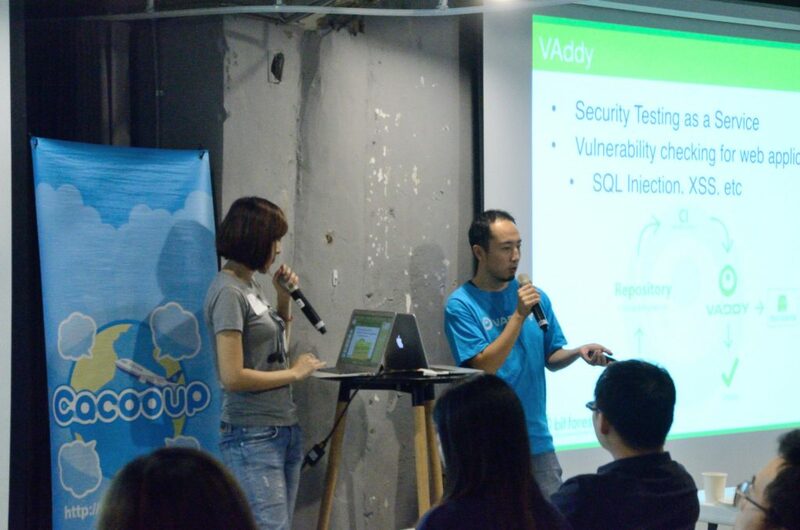 Next up, we had Japanese security system Vaddy share their experiences with mind maps and using Cacoo. We were excited they could attend, especially since they traveled all the way from Japan to support us for this event! Vaddy demonstrated how they use Cacoo to draw wireframes when creating websites. They especially love Cacoo’s collaborative functions, which help them to deliver clear directives when outsourcing design work. CacooUp wrapped up with a fun networking session including speakers and attendees. We would like to take this chance to thank our wonderful speakers and kind volunteers, without whom our events could never be such a hit. Wondering what’s next for Cacoo? In 2017, we will introduce our HTML 5 Cacoo editor, plus some amazing new features to get you diagramming like a pro. Stay tuned as we will deliver more Cacoo user meetups and workshops near you.